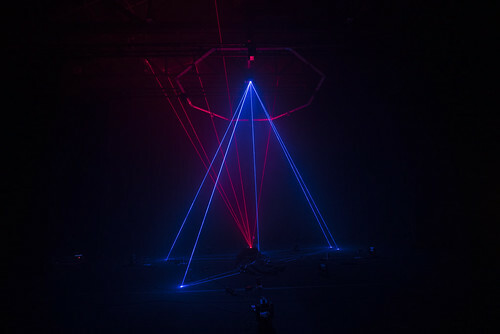 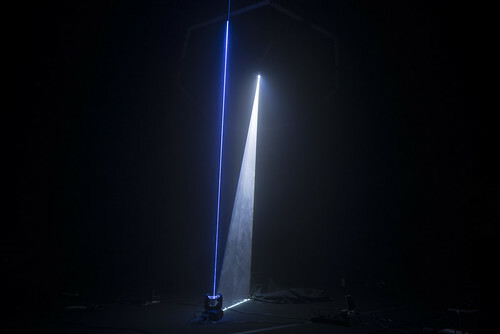 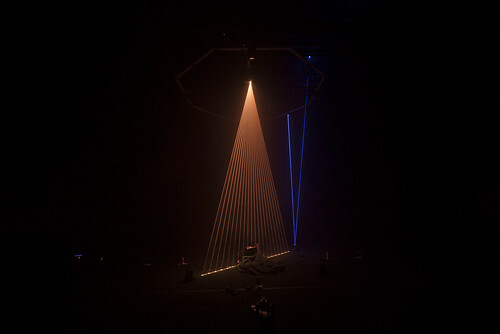 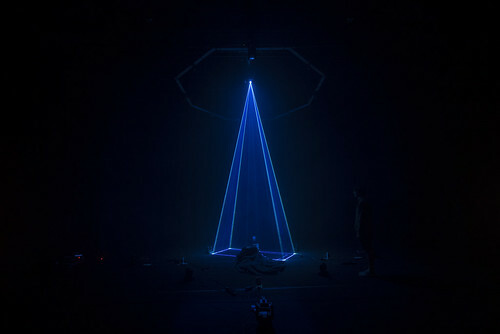 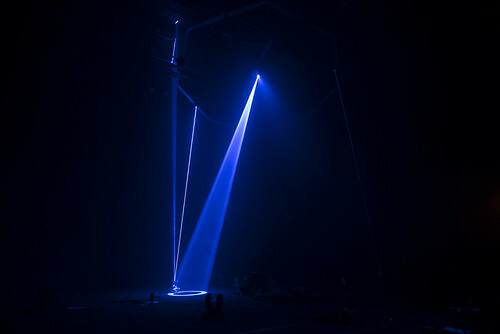 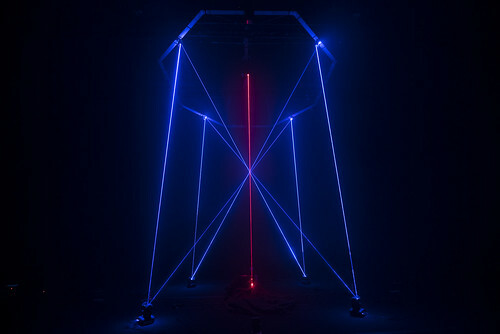 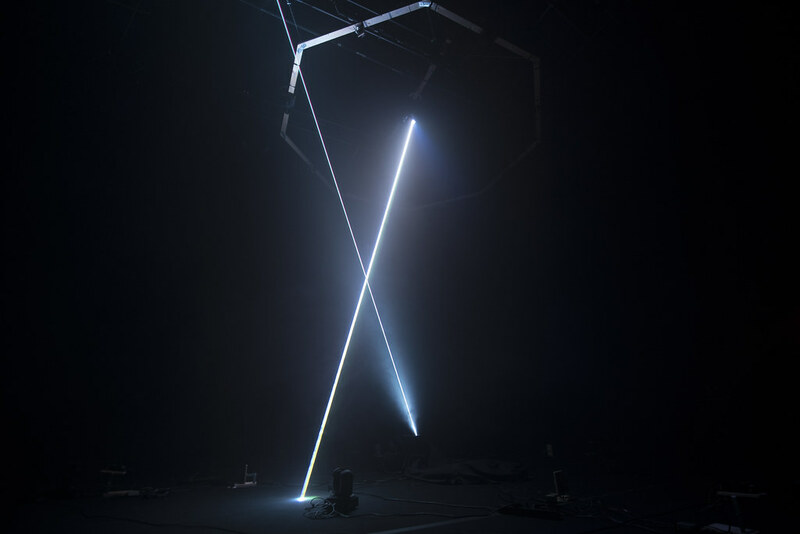 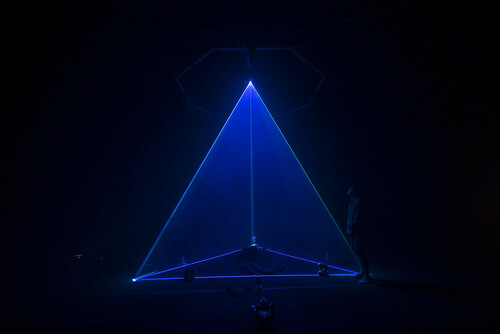 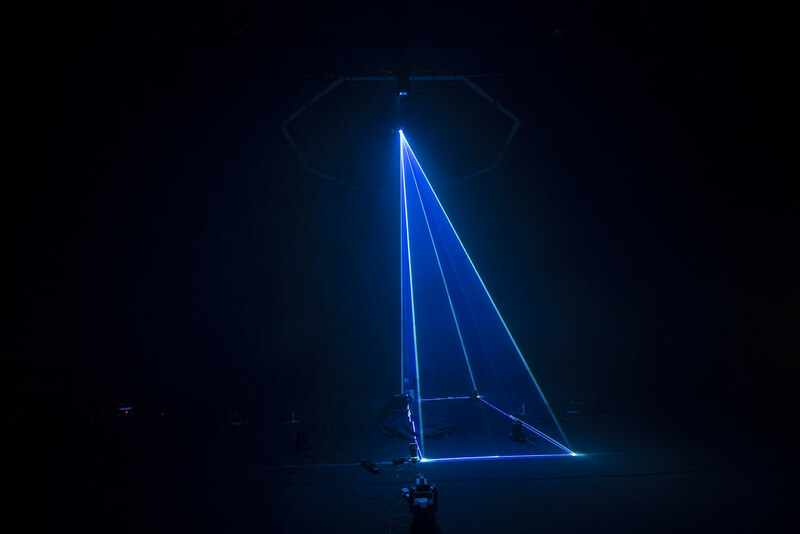 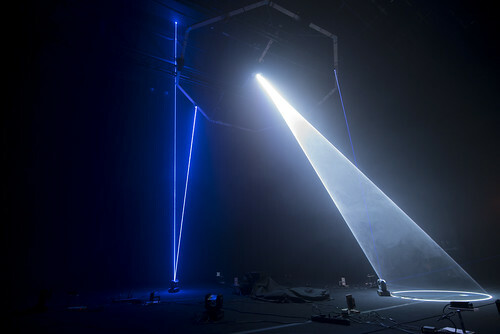 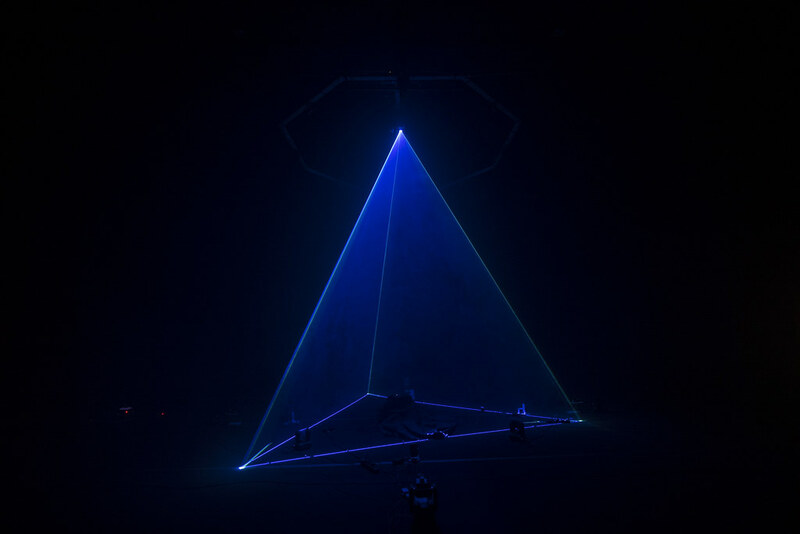 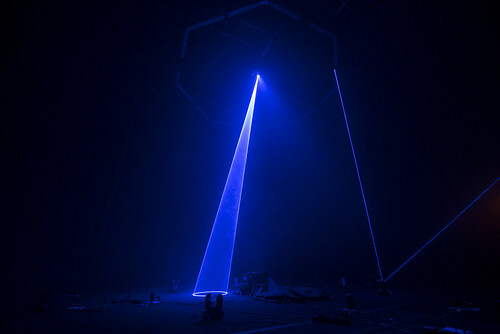 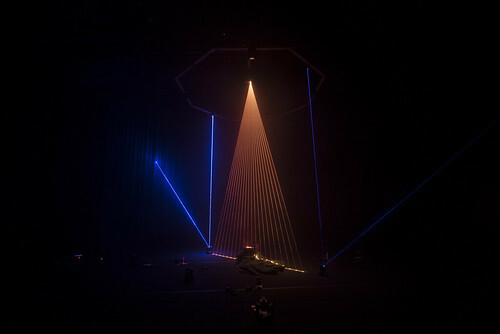 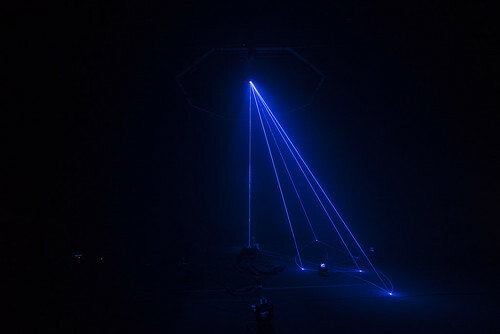 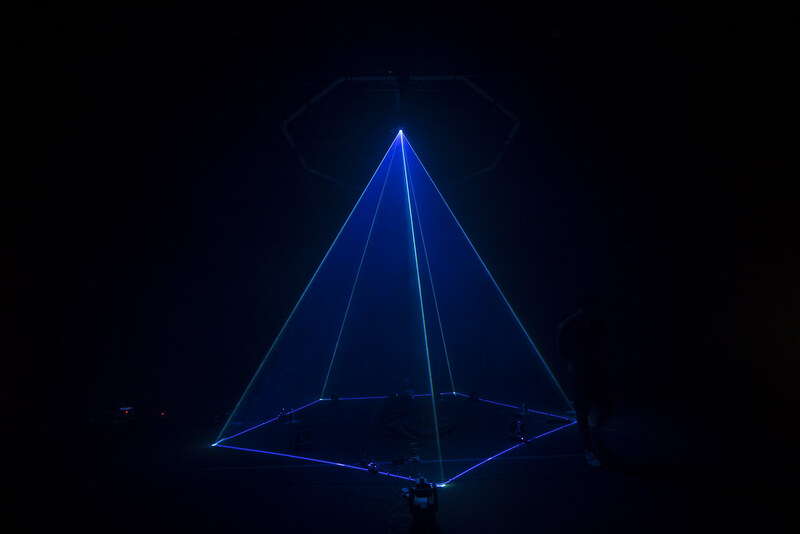 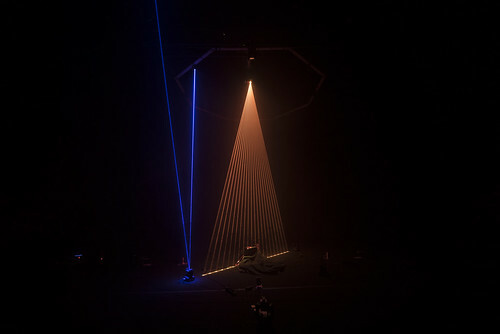 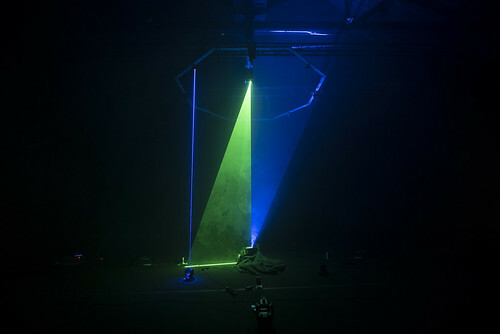 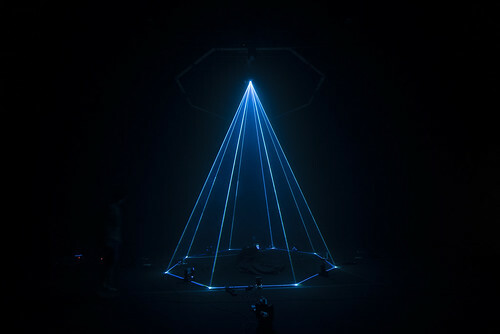 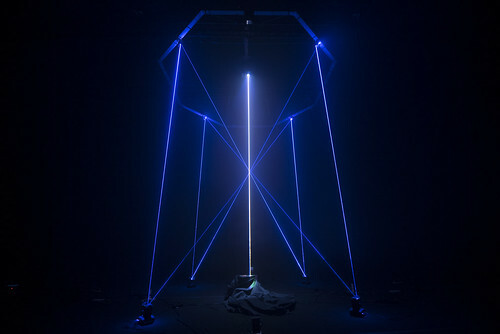 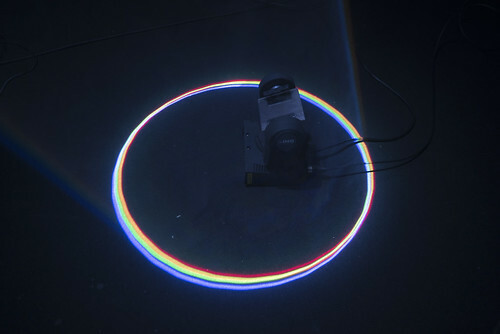 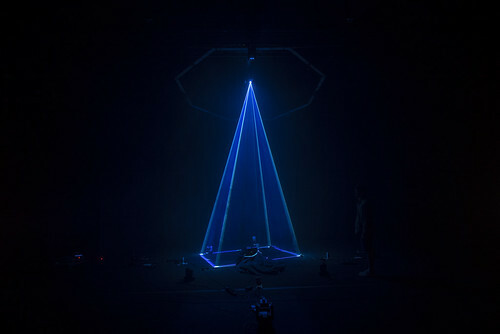 “Espills” is a solid light dynamic sculpture. 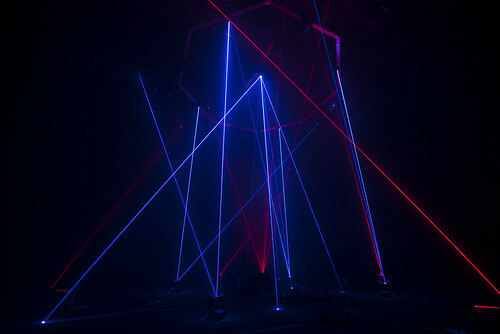 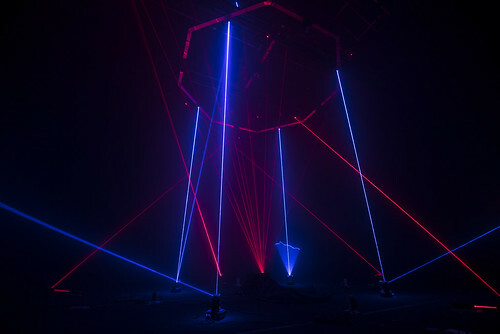 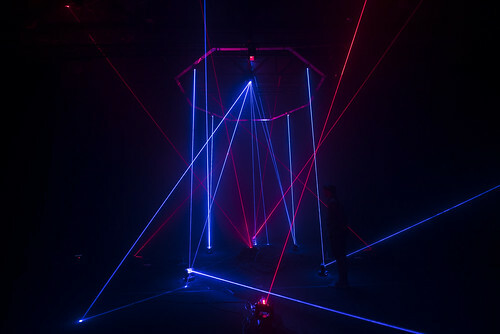 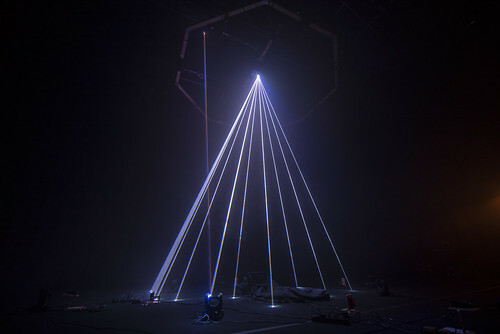 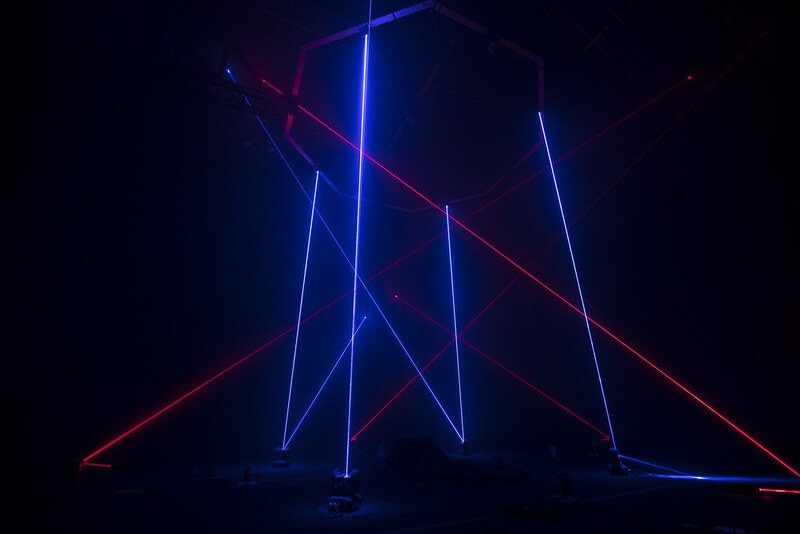 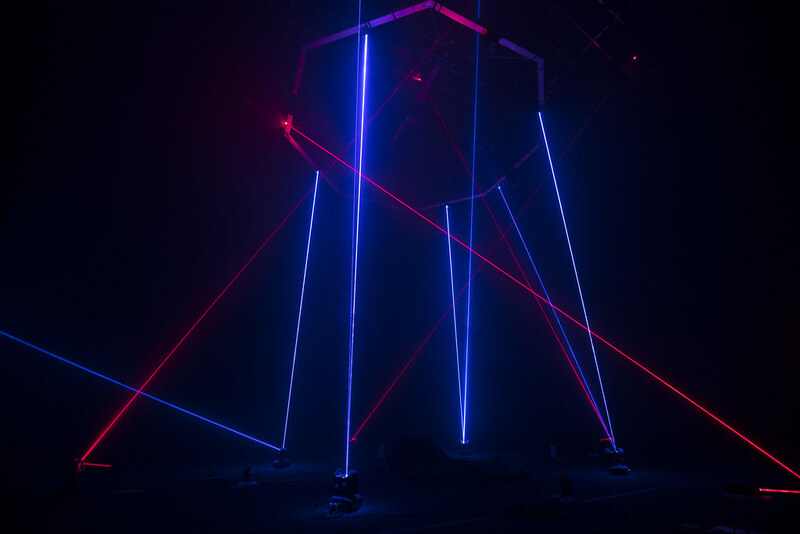 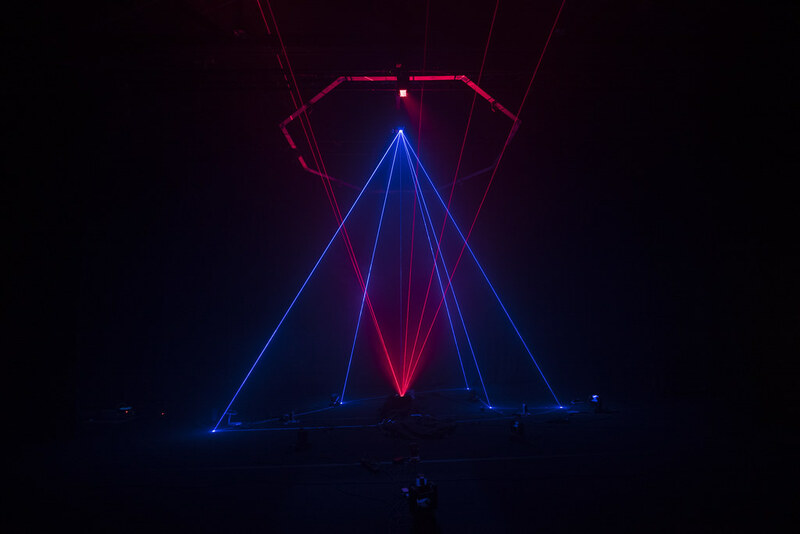 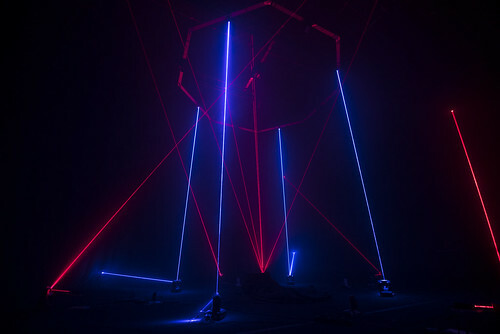 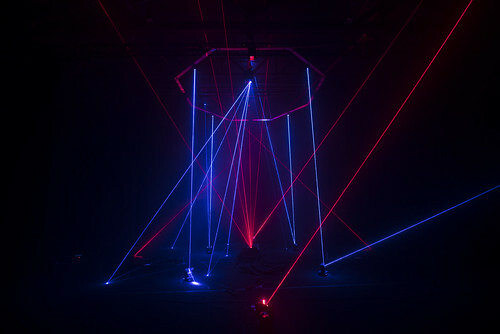 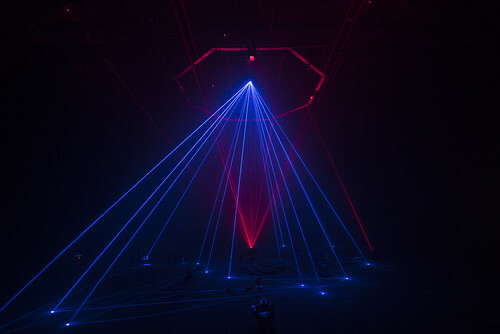 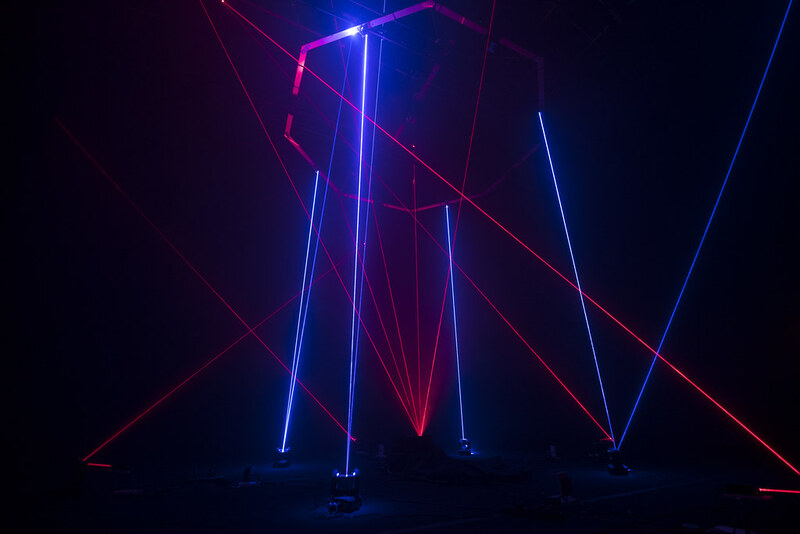 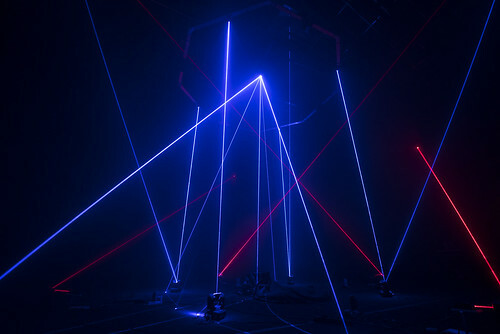 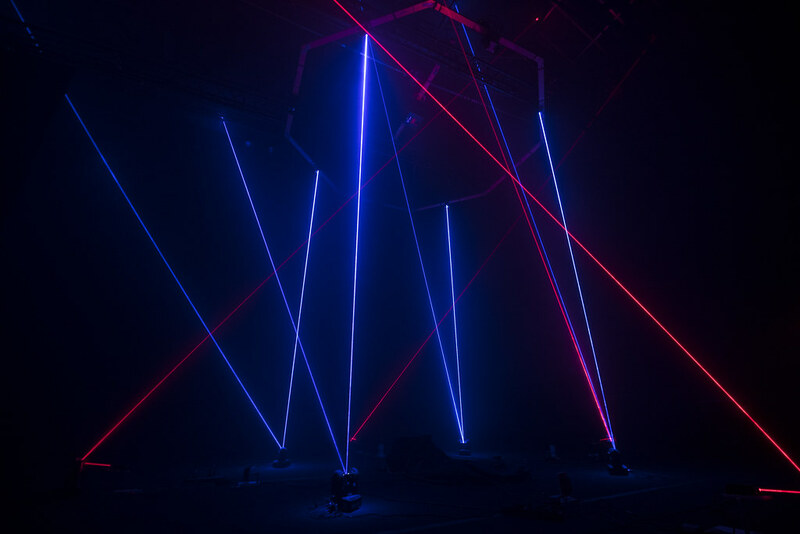 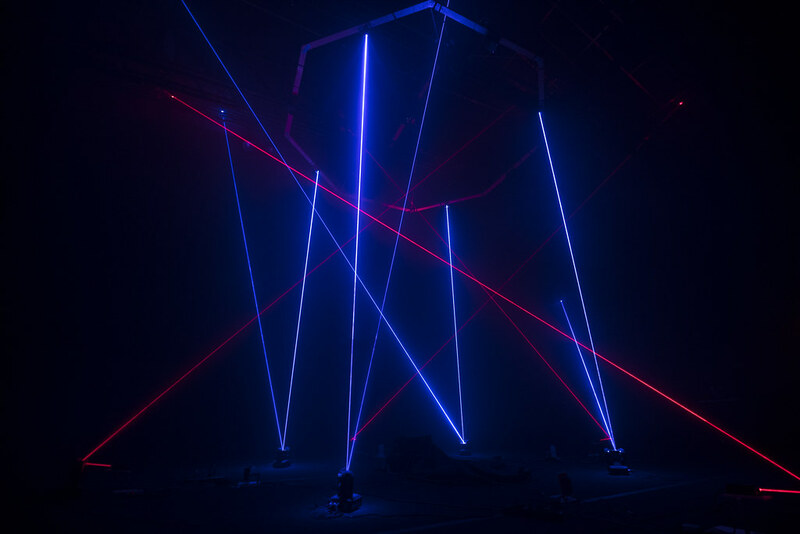 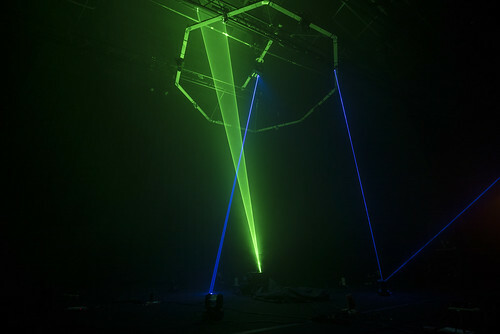 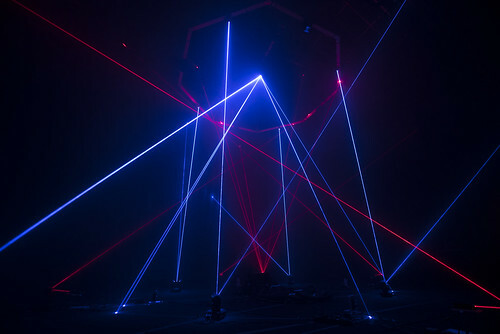 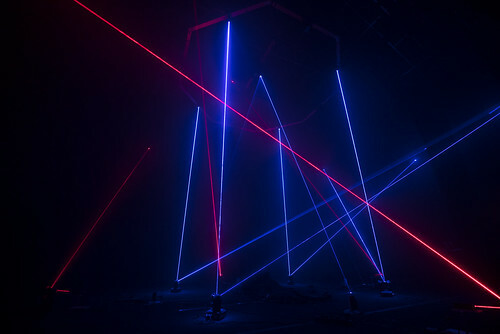 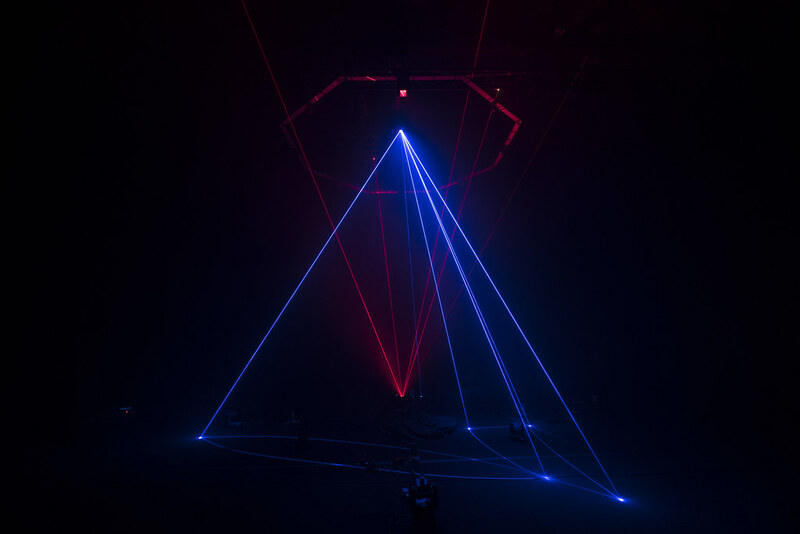 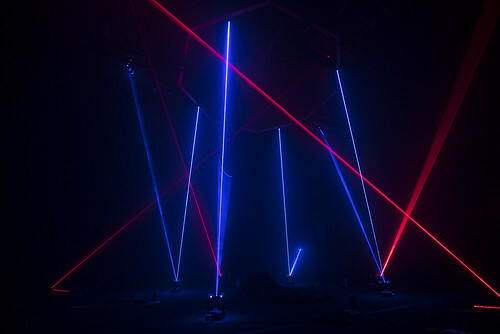 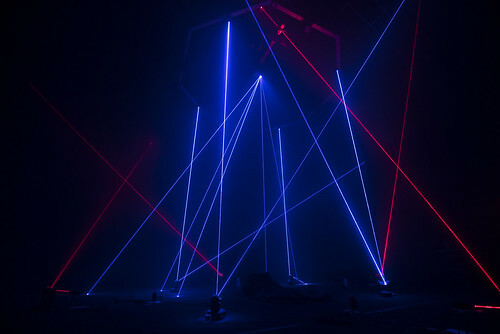 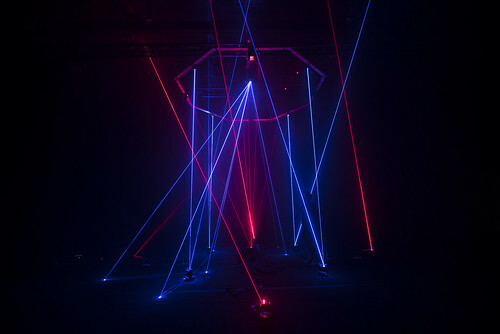 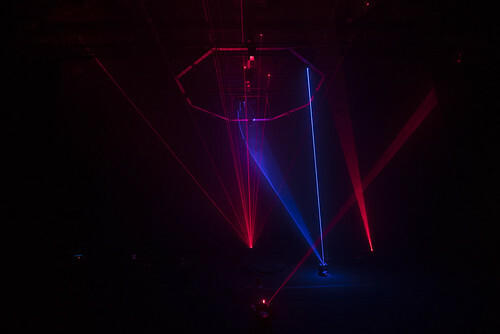 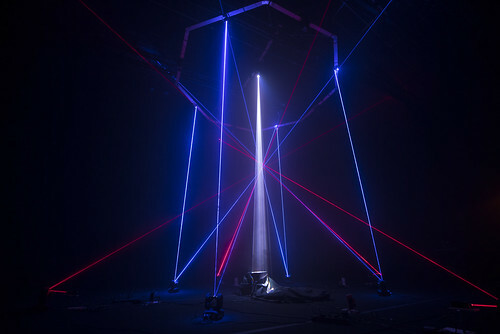 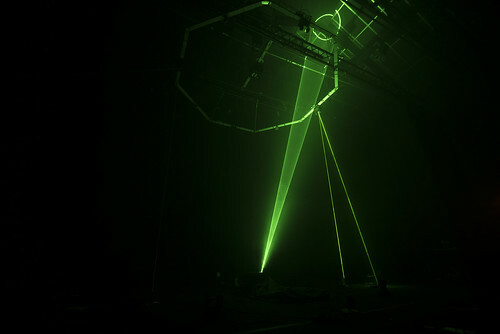 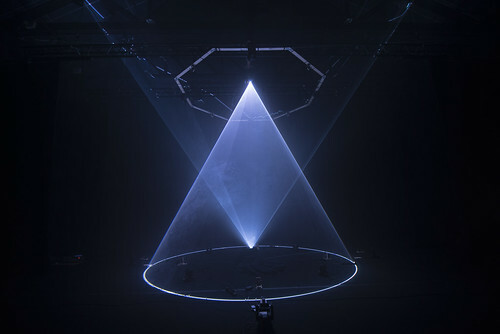 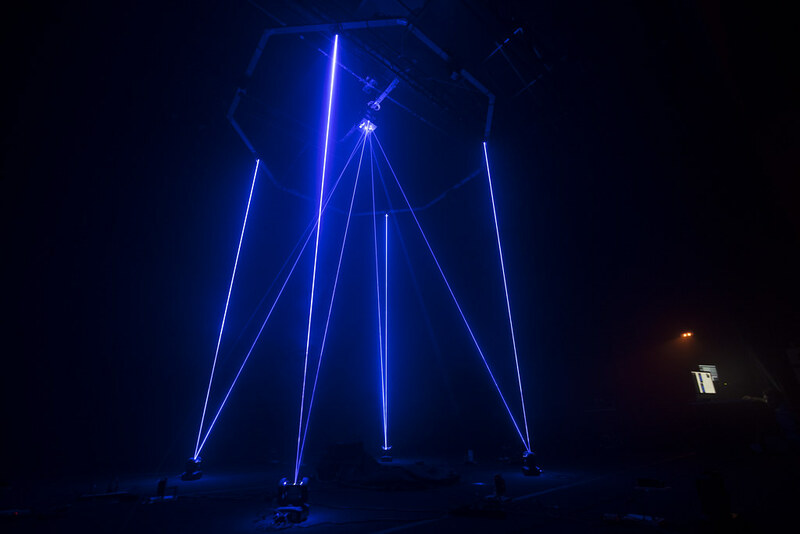 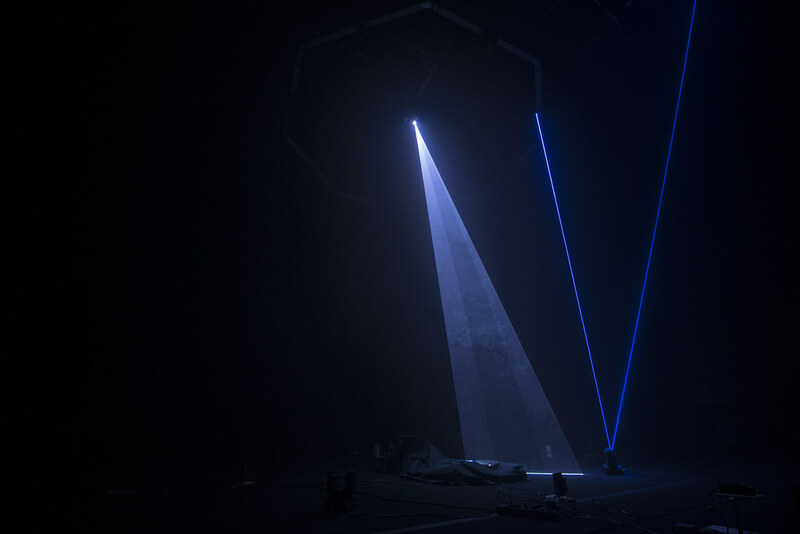 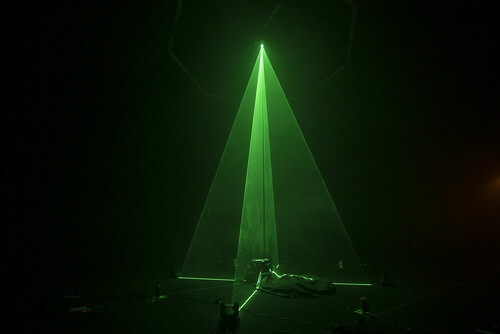 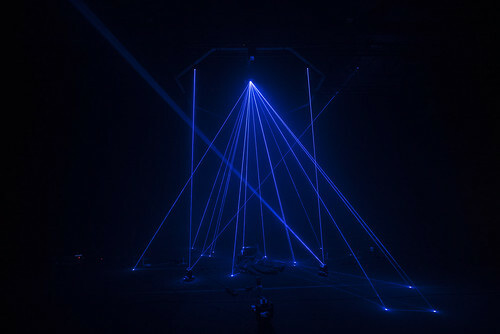 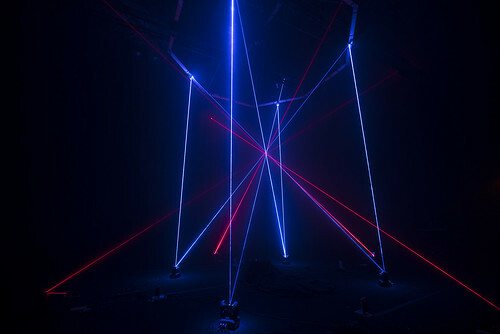 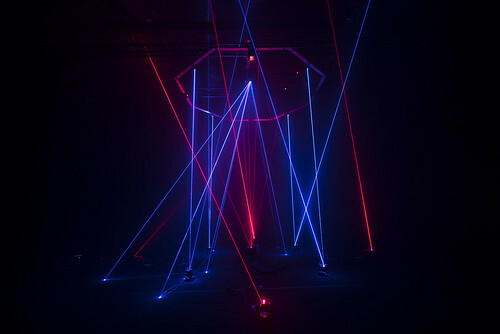 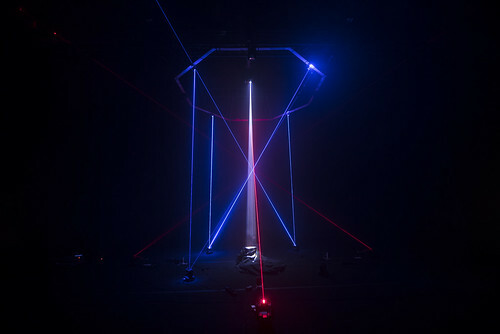 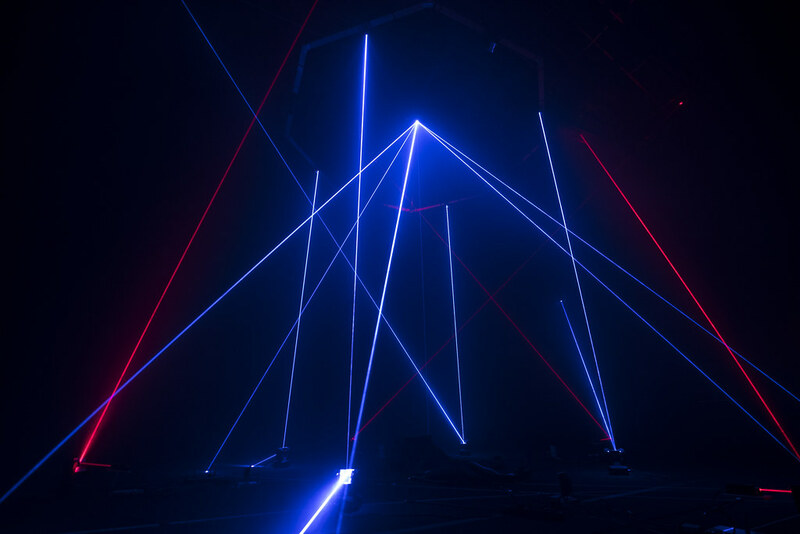 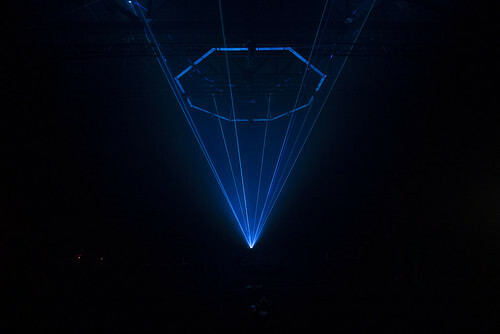 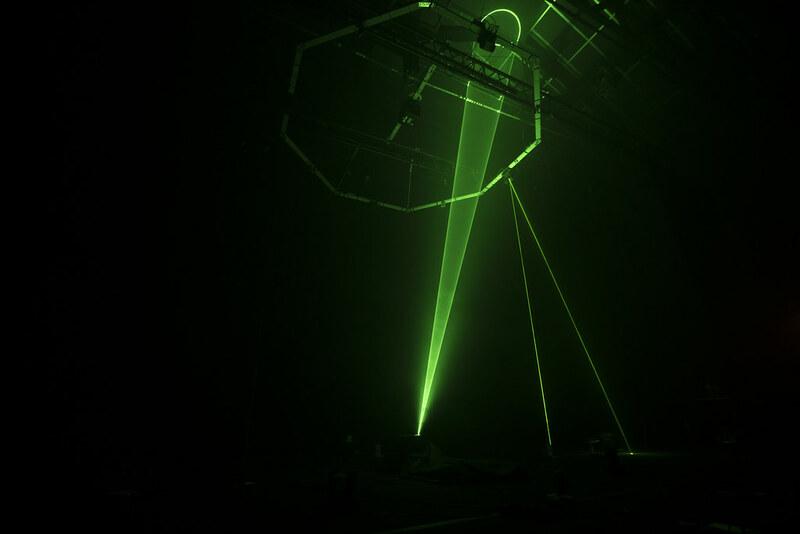 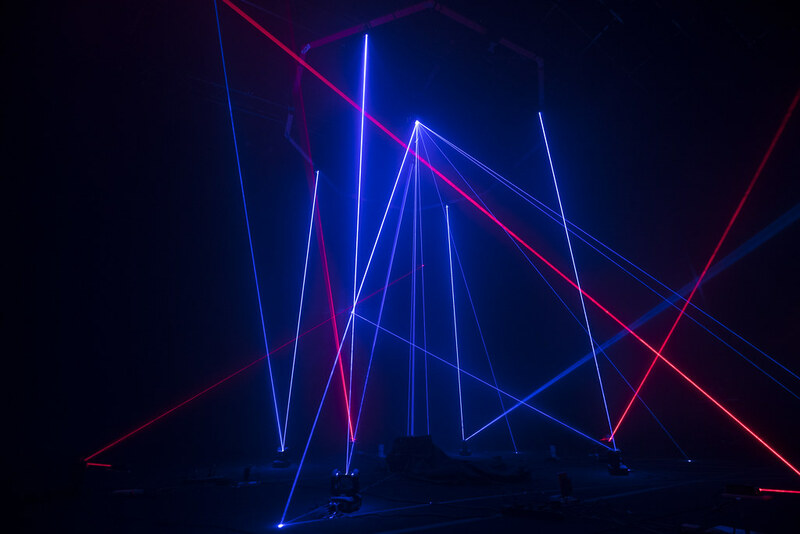 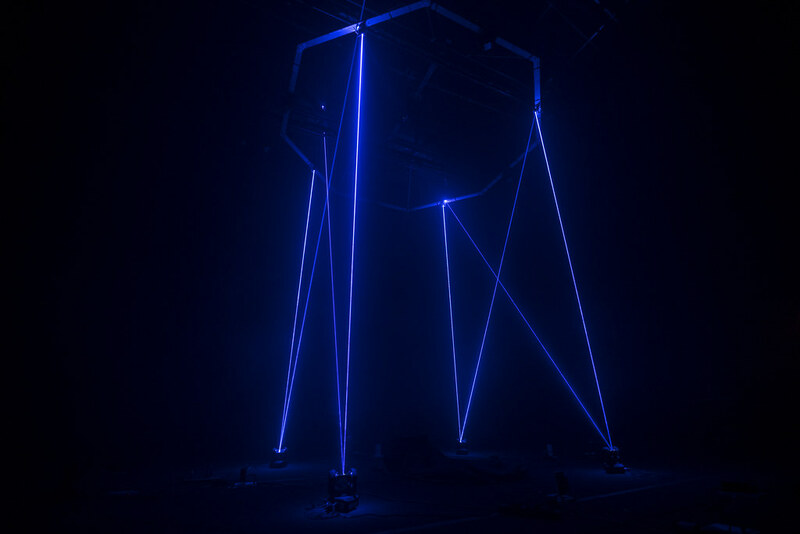 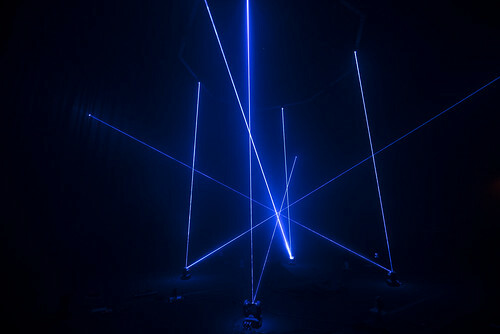 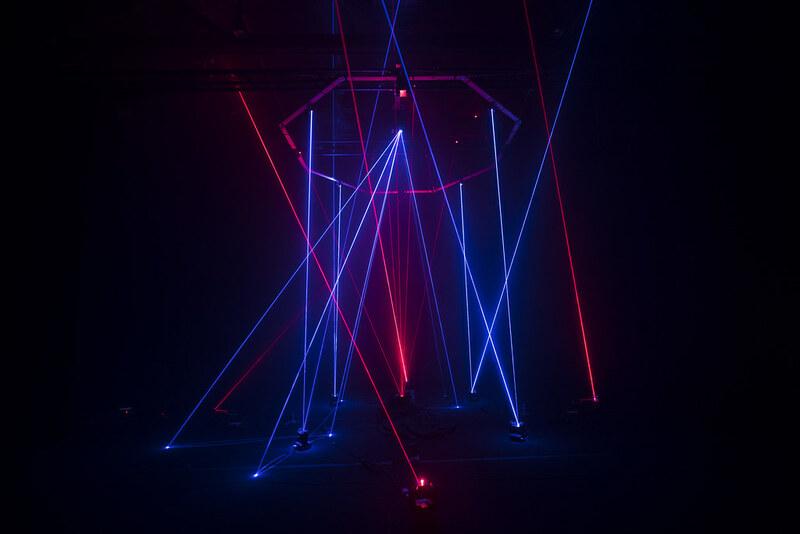 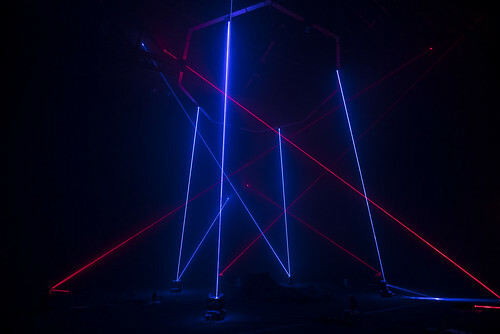 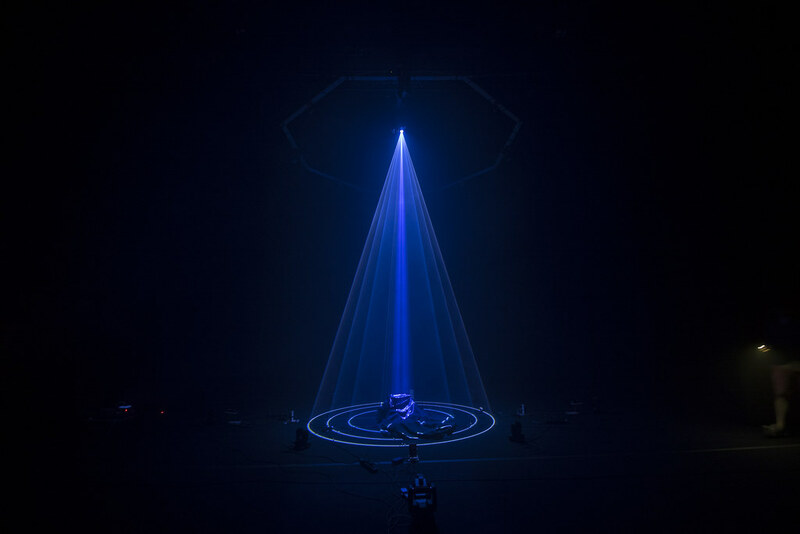 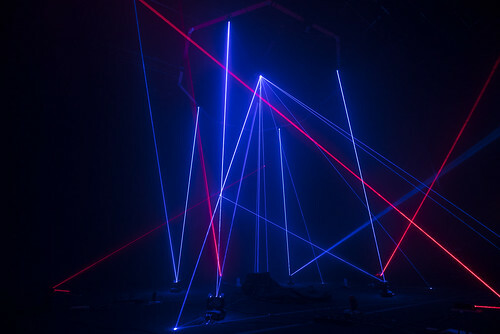 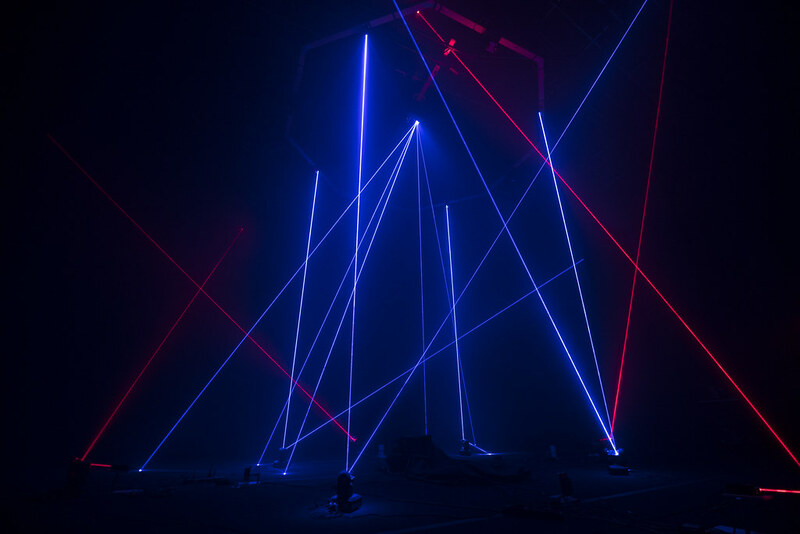 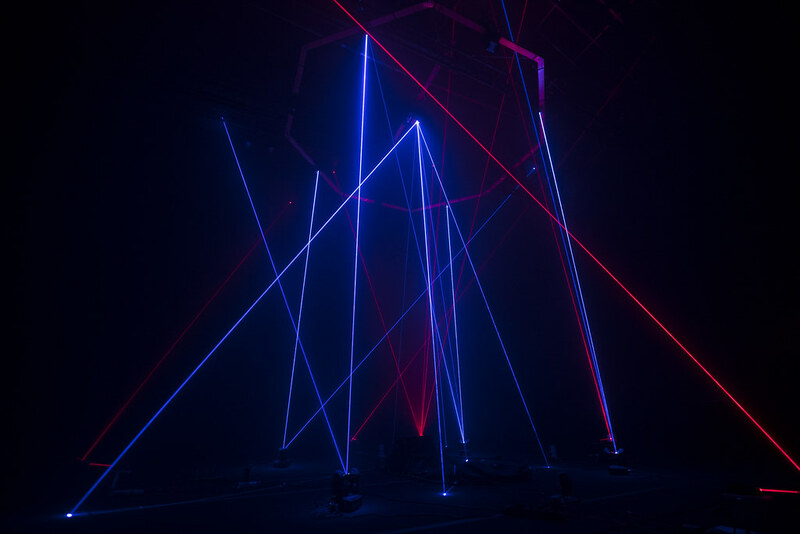 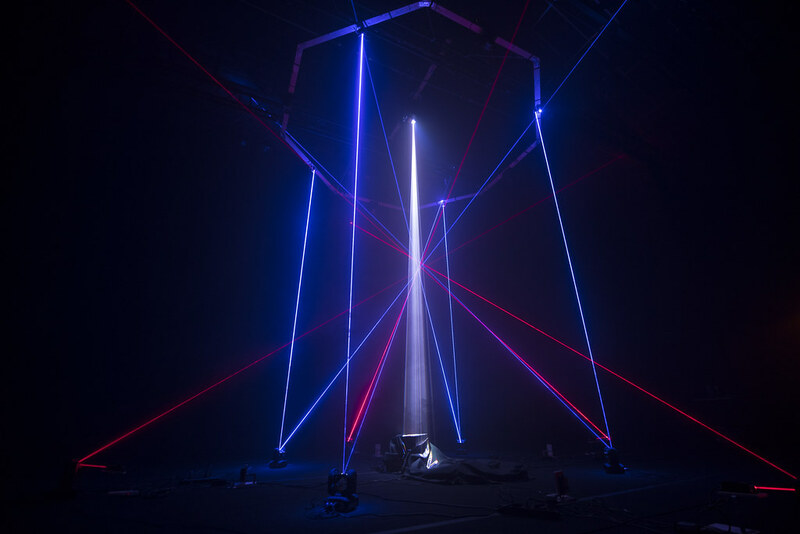 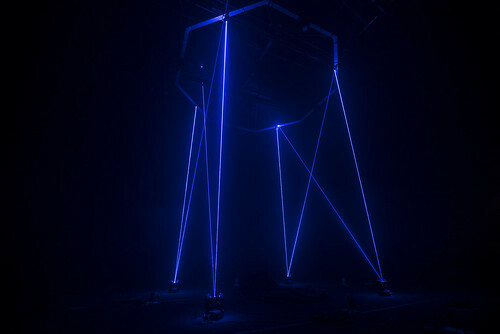 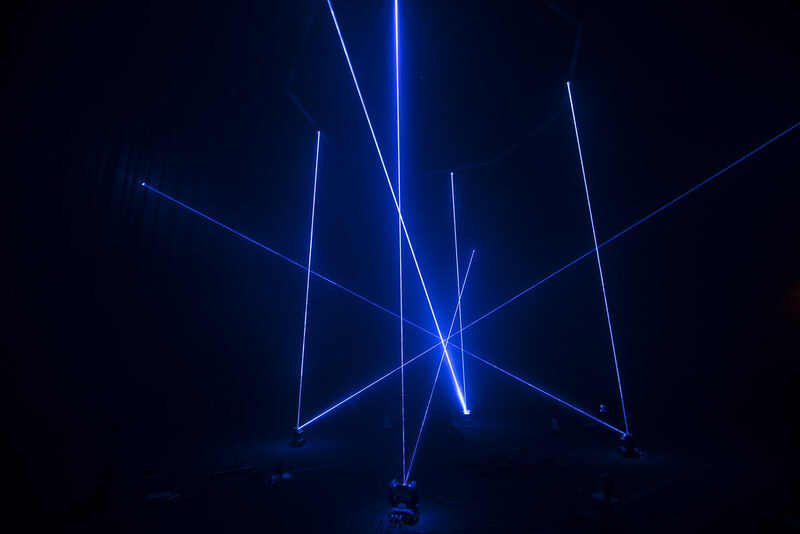 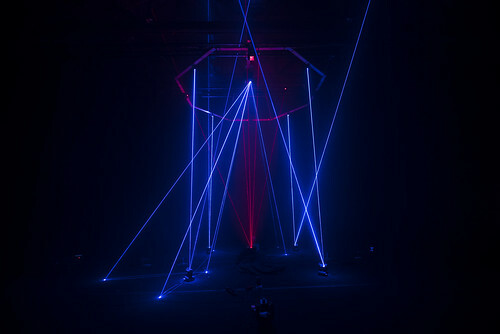 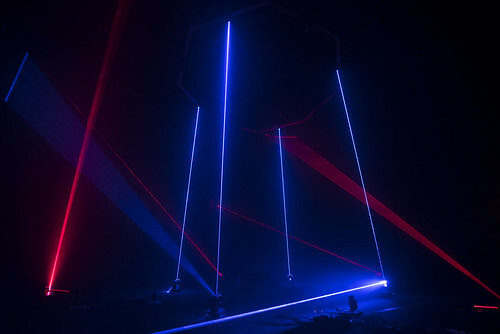 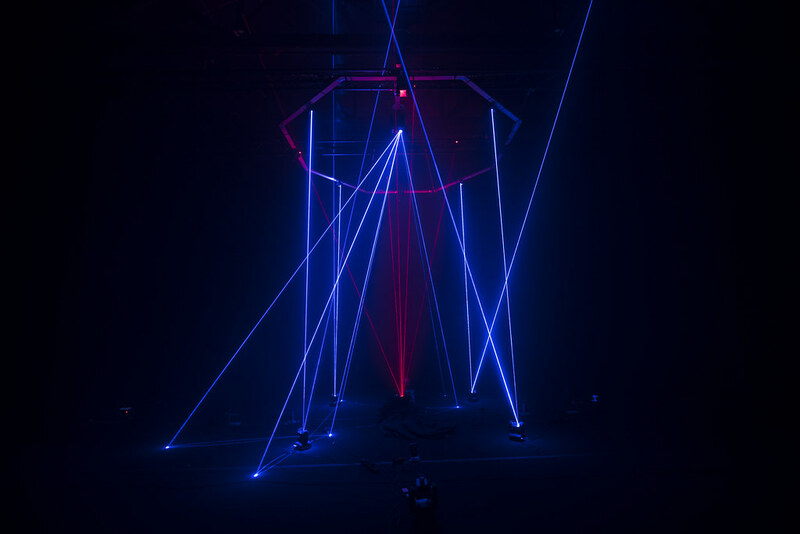 Built using laser beams, laser scanners and robotic mirrors, it is inspired by crystalline formations. 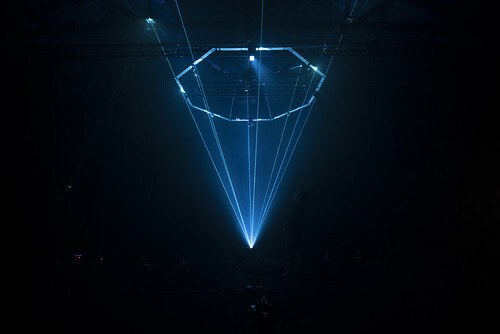 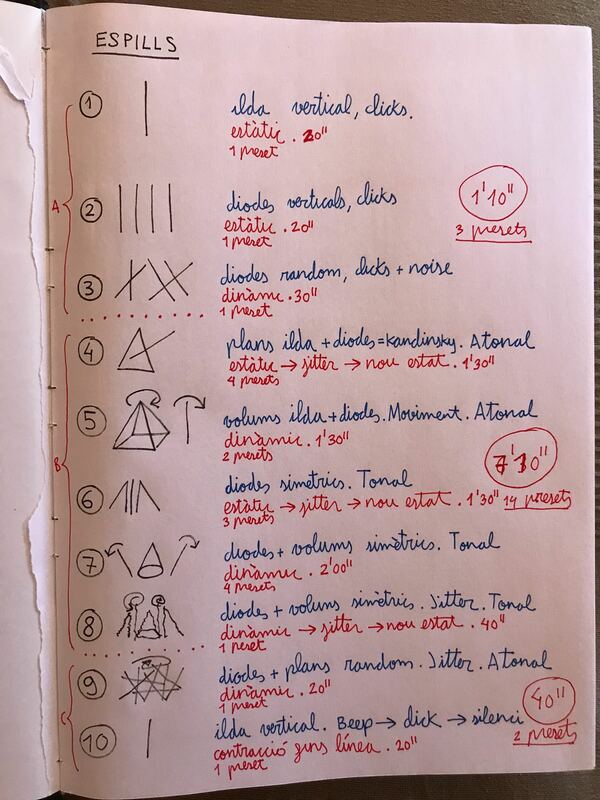 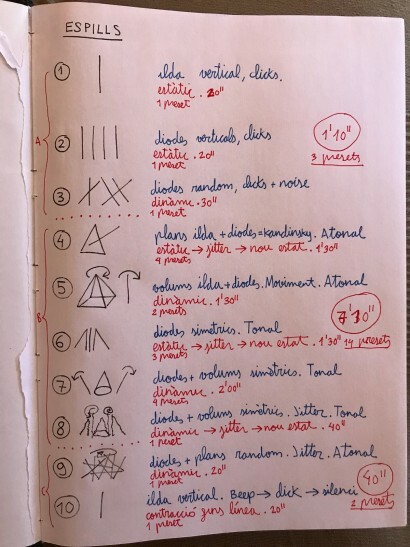 A set of geometric figures that float in the air and which suggest, in an abstract way, the transmutation of matter from chaos to order. 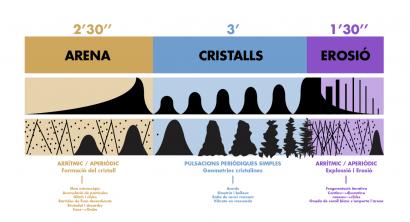 Dust becoming crystal, being eroded and becoming sand again. 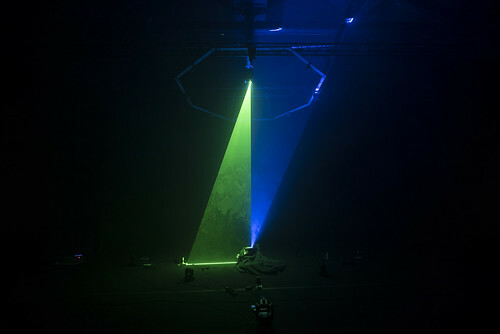 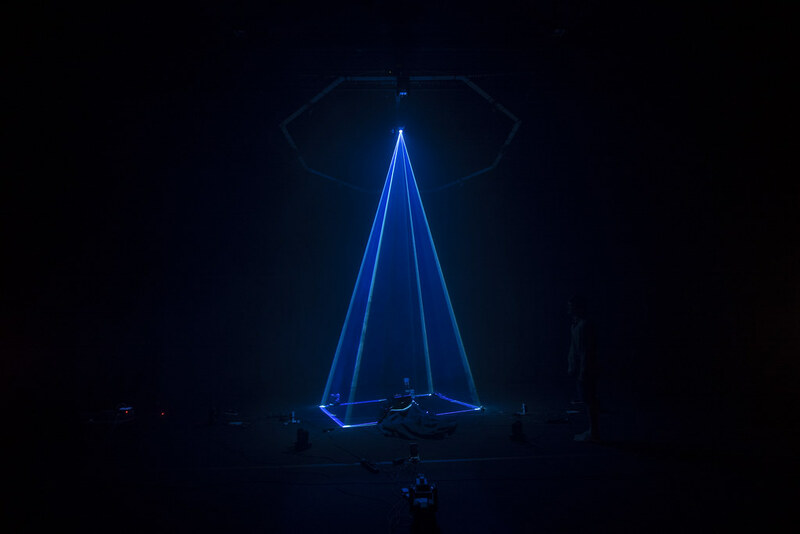 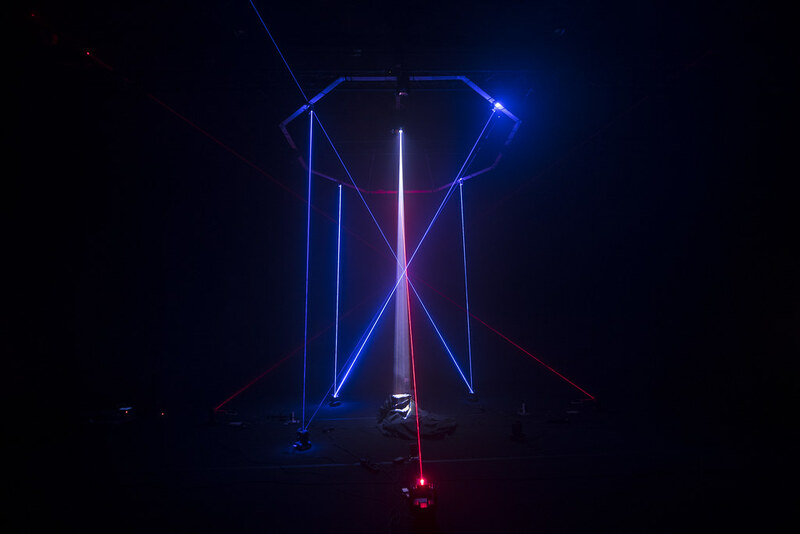 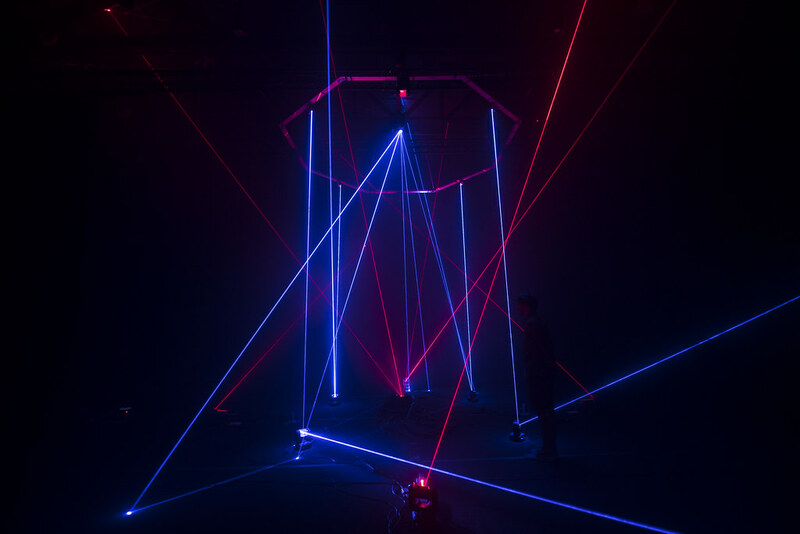 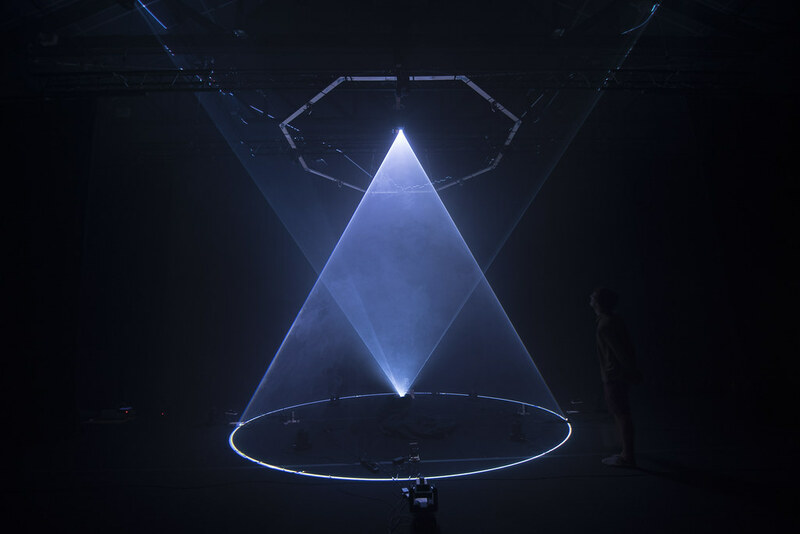 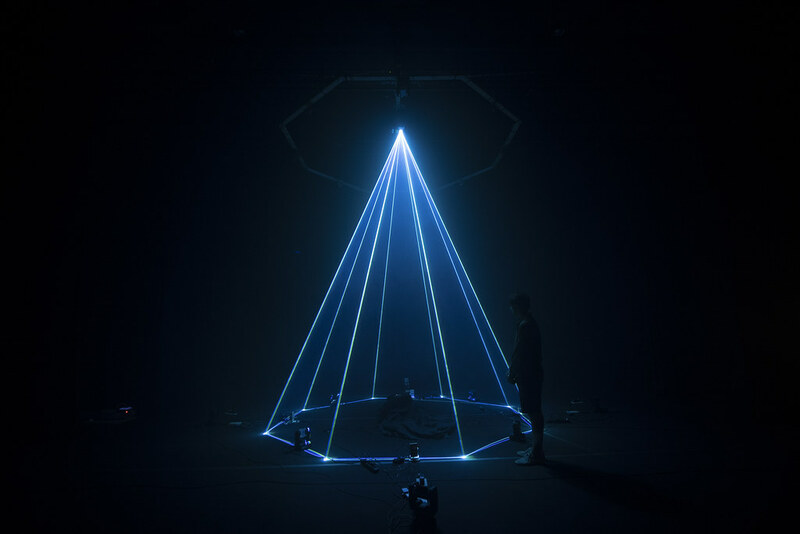 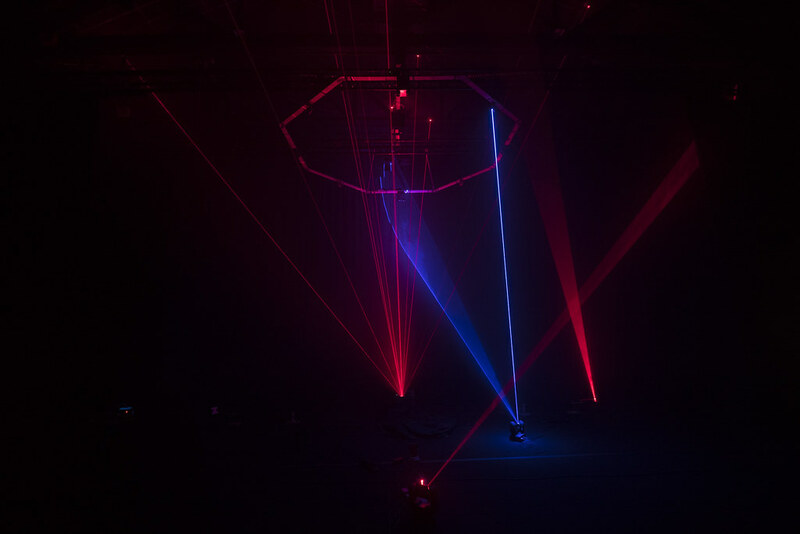 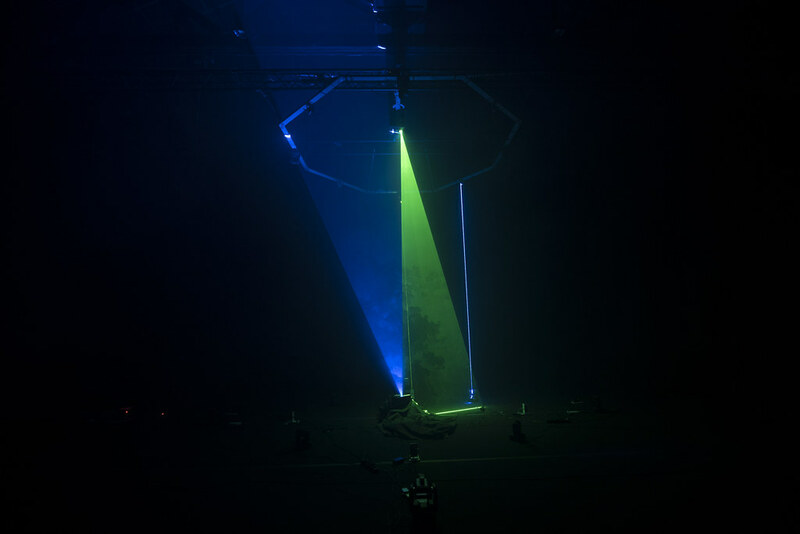 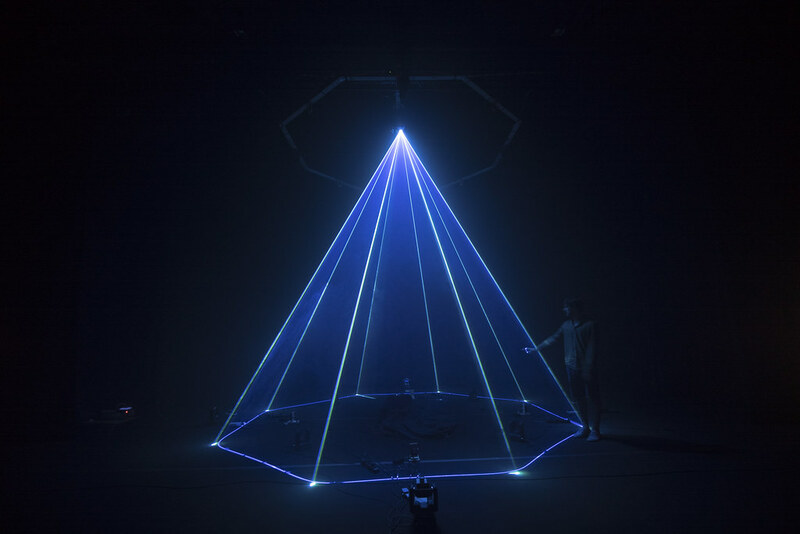 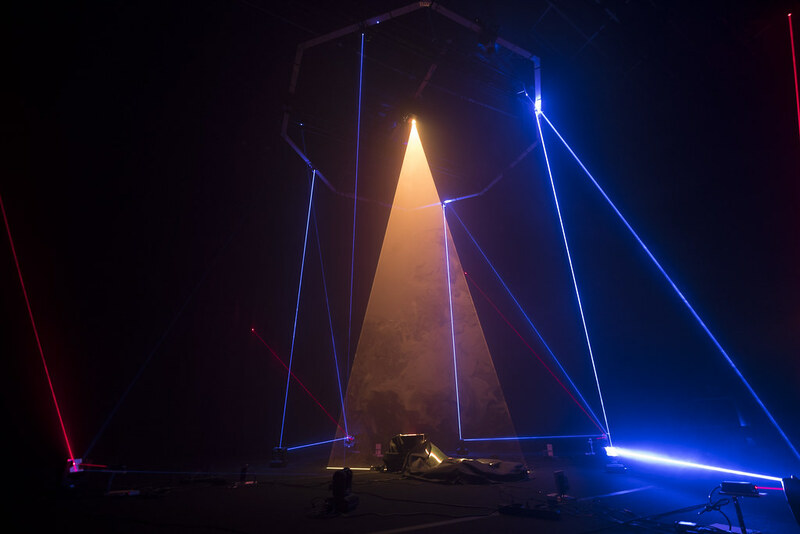 Each visual representation integrates its own sound design through sonification algorithms that transform light into music, completing this alchemical landscape. 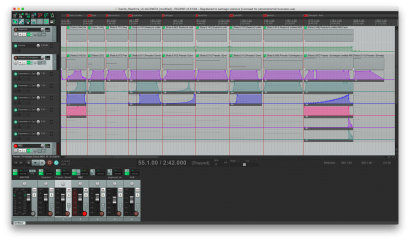 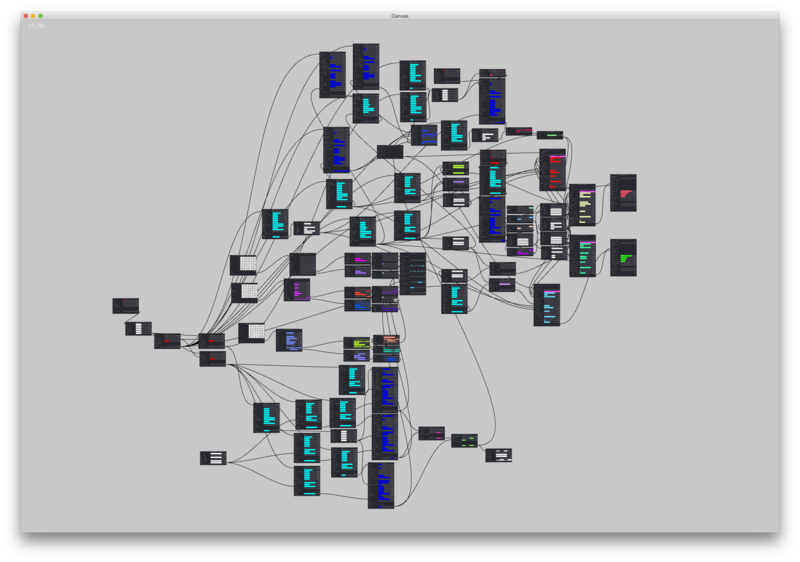 This is an ongoing research, and the piece haven’t reached its final form yet. 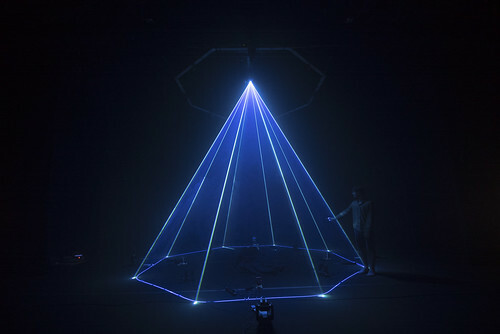 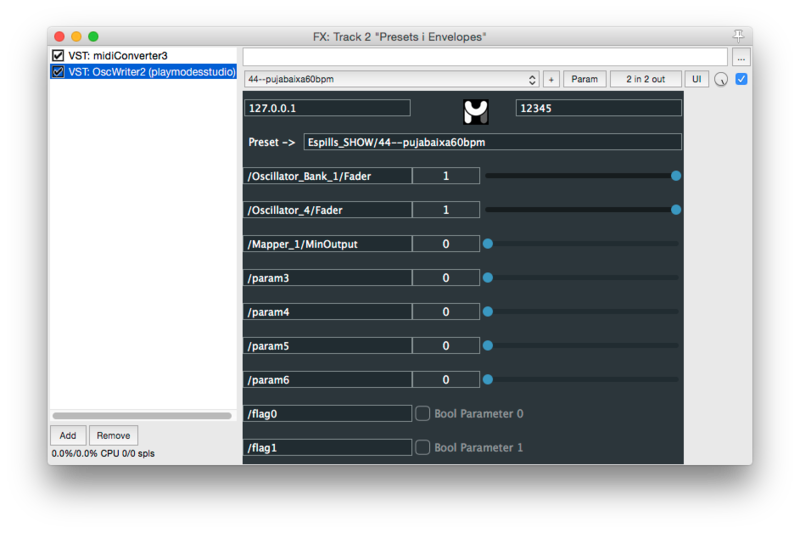 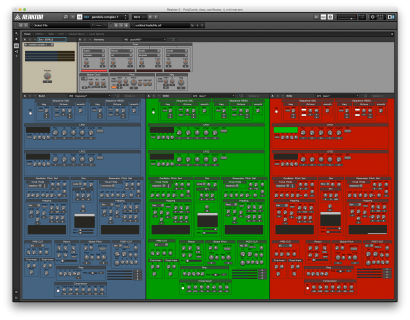 At this point, we managed to create a realtime audiovisual instrument that can be played live, and we made the first explorations with it, giving as a result the different scenes you can see on the video documentation. 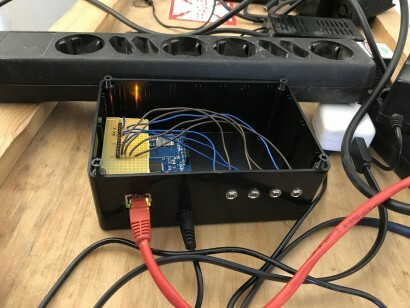 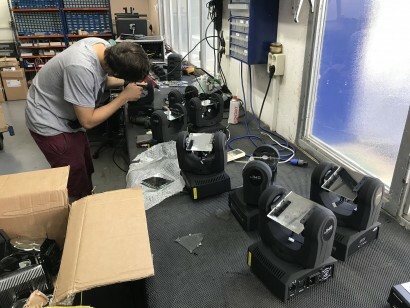 Nevertheless, we understand there’s a bigger potential on the expressiveness of the instrument, and the project will still evolve through future iterations. In order to start the content creation process, we set up the piece in a theatre in Celrà. 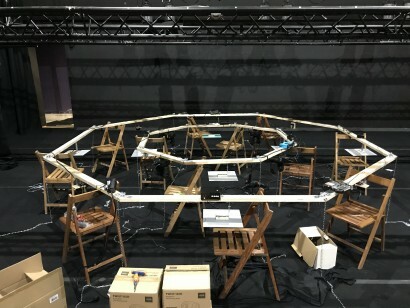 We were working on site for 2 months, adjusting the hardware and software systems and finally creating the audiovisual scenes.